Animesh jain (Trainer & Founder – Webfame Digital Marketing Academy) who has designed this special program has worked for brands like Suzuki, Yamaha, Lufthansa Airlines, MovenPick Hotels, Radission Hotels & Resorts, Canon, Clubmed Hotels, Eastspring Investments, Kidzania, Onyx Hotel Groups, VISA, Tourism Northern Territory and many more in his Corporate experience. To help These Clients he has worked closely under the guidance of Many Renowned Digital Marketers Across Continents.Mr Jain has been known for his Performance-based Digital marketing through which he has been delivering some wonderful results to his clients. 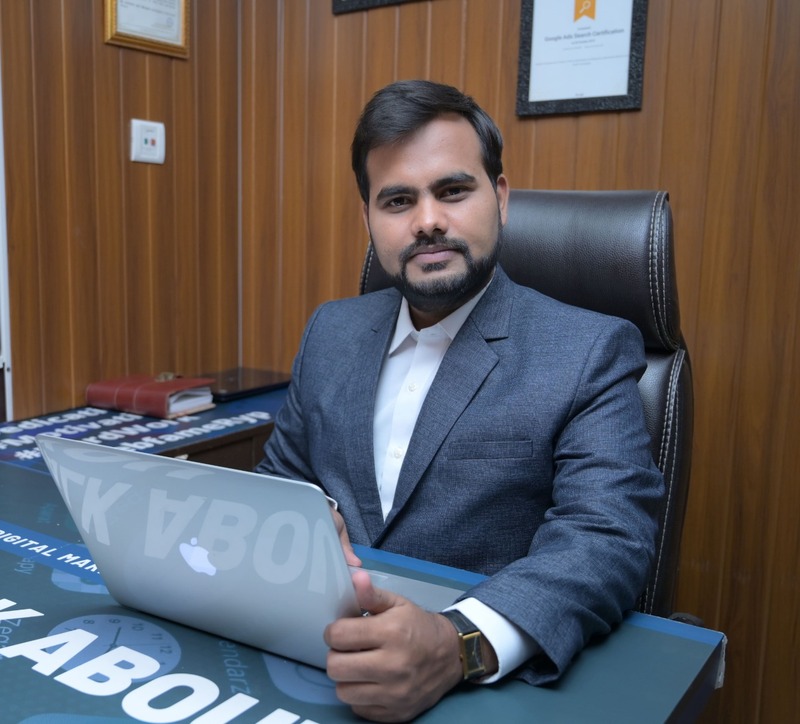 He has a rich experience of more than 4 years now and he is currently visiting Digital Marketing Trainer now at Many Institutions across Chattisgarh for Delivering Seminars and Conducting Workshops on Digital Marketing. He Believes not only in training Candidates but also adding values to candidates through the way of counselling & mentoring sessions through one on one interactions due to which they can not only make a career out of the marketing techniques learnt but also have a confidence to startup their own ventures using the skills developed with complete guidance from his side. Mr. Jain has done many global certifications like Google Analytics,Google Tag Manager, Google Adwords, Microsoft Bing, Link Research Tools- Professional, WooRank,Youtube Marketing, Hubspot -Inbound,Content and Email Marketing to name a few. He is a Passionate Marketer and believes in Delivering the Best to his clients and Students by using the best practices out of his experiences in the Digital marketing industry.